As Battery Sergeant-Major Williams in David Croft and Jimmy Perry’s It Ain’t Half Hot Mum, Windsor Davies’ booming voice could be heard – “even with your television set switched off,” one wag remarked – barking orders and bellowing his disapproval at his concert-party charges in one of the biggest television hits of the late 1970s. The bombastic character brought Davies an unexpected second career in a partnership with It Ain’t Half Hot Mum colleague Don ‘Lofty’ Estelle when the duo reached No 1 in the pop charts with their rendition of Whispering Grass in 1975. The pair was also regularly seen together in summer season and panto long after changing attitudes to the show’s racial stereotyping saw it disappear from television screens in 1981. Success continued with Johnnie Mortimer’s Never the Twain, in which Davies sparred with rival antique dealer Donald Sinden for 10 years to 1991. The sitcom marked the peak of Davies’ profile on television. Born in Canning Town, east London, Davies moved, aged nine, to the Ogmore Valley, South Wales when his parents returned home. A former miner who saw service in North Africa, he was 31 when he decided to abandon teaching to become an actor. He made his professional debut at Cheltenham Rep in 1961 in a musical adaptation of Jean Anouilh’s Thieves Carnival, with a young Steven Berkoff in the company. The pair reunited later that year for Arnold Wesker’s The Kitchen at the Royal Court. His West End debut followed in 1970 at the May Fair Theatre in Dylan Thomas’ Under Milk Wood, a work he twice returned to, with the London Theatre Company at Sadler’s Wells (1971) and on a 1988 recording led by Anthony Hopkins. In 1972, he was, The Stage declared, an “admirably crude and boisterous” Toby Belch alongside Vanessa Redgrave’s Viola in Twelfth Night at the Shaw Theatre. He returned to the West End in Colin Welland’s Roll on Four O’Clock at the Palace Theatre in 1981 and to It Ain’t Half Hot Mum at Scarborough’s now-demolished Futurist Theatre in 1982. His later stage career veered between crowd-pleasing farces such as Ray Cooney’s Run for Your Wife (Criterion Theatre, 1985; Whitehall Theatre, 1989) and It Runs in the Family (Playhouse Theatre, 1993) and more serious fare in which he demonstrated greater nuance than earlier opportunities had afforded. He was seen in Bertolt Brecht’s reworking of Reinhold Lenz’s The Tutor for Jonathan Miller at the Bristol Old Vic in 1988 and joined the National Theatre in 1997 to appear in Peter Gill’s Cardiff East and, in 1999, Alan Ayckbourn’s adaptation of Alexander Ostrovsky’s The Forest. Notable among his nearly 130 screen credits were Gwenlyn Parry’s Grand Slam (1978), an affectionately robust portrait of Welsh rugby fans getting into trouble in Paris, the short-lived sitcom The New Statesman (1985), in which he played a gruff museum custodian who inherits a peerage, and as David Lloyd George in Maurice Gran and Laurence Marks’ Mosley (1998). His rumbling bass-baritone was heard on countless adverts and radio dramas, and as the voice of another sergeant major, Zero, in the Gerry Anderson children’s fantasy series Terrahawks (1983-86). 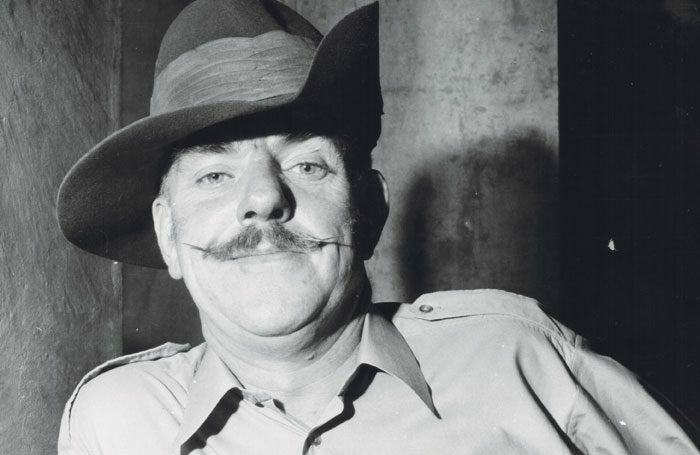 Windsor Davies was born on August 28, 1930, and died on January 17, aged 88.